Cypress Grove Cemetery was established in 1840 by the Fireman’s Charitable and Benevolent Association. The Association was able to establish the cemetery by converting a plot of donated property into the funds necessary to purchase the land at the end of Canal Street. 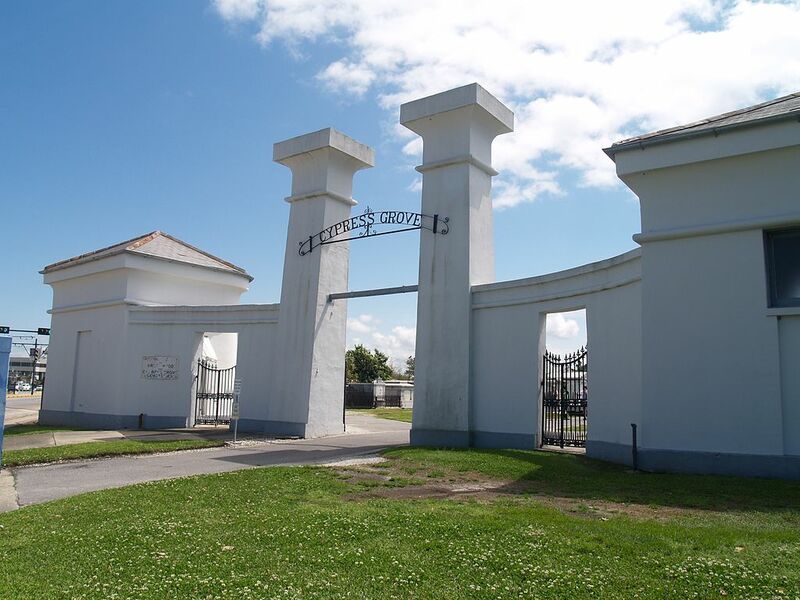 It was decided that the remains of firemen who had been buried in other cemeteries in New Orleans would be moved to the new Cypress Grove Cemetery and reinterred. In addition to firemen being buried here, many prominent Protestant New Orleanians were also buried here after Girod Street Cemetery began to deteriorate. The entrance to the cemetery is flanked by pylons designed by Frederick Wilkinson in the Egyptian Revival Style.